This is the latest in the web’s massive shift from non-secure HTTP to the more secure, encrypted HTTPS protocol. All web servers use one of these two protocols to get web pages from the server to your browser. HTTP has serious problems that make it vulnerable to eavesdropping and content hijacking. HTTPS fixes most of these problems. That’s why EFF and others have been working to encourage websites to offer HTTPS by default. 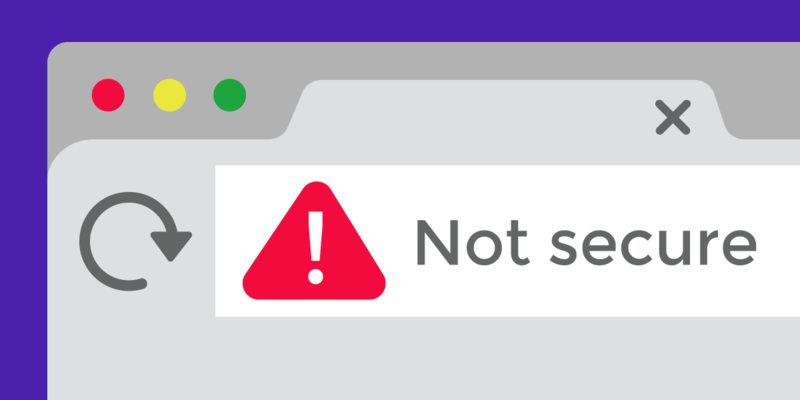 Chrome’s most recent move to show “not secure” warnings on all HTTP pages reflects an important, ongoing shift for user expectations: users should be able to expect HTTPS encryption—and the privacy and integrity it ensures—by default. Looking ahead, Chrome plans to remove the “Secure” indicator next to HTTPS sites, indicating that encrypted HTTPS connections are increasingly the norm (even on sites that don’t accept user input). For website owners and administrators, these changes come at a time when offering HTTPS is easier and cheaper than ever thanks to certificate authorities like Let’s Encrypt. Certificate Authorities (CAs) issue signed, digital certificates to website owners that help web users and their browsers independently verify the association between a particular HTTPS site and a cryptographic key. Let's Encrypt stands out because it offers these certificates for free and in a manner that facilitates automation. And, with EFF’s Certbot and other Let’s Encrypt client applications, certificates are easier than ever for web masters and website administrators to get.